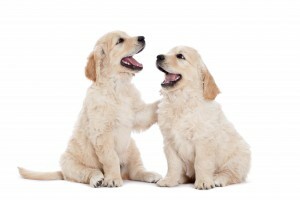 Home » Articles » Allergic to Your Dog? Allergies to dogs are most commonly caused by the dog’s skin flakes (dander), saliva, urine or the actual fur. Some people will experience an allergy to their pet as soon as they bring them home, whilst others will be unfortunate enough to develop an allergy months to years after first owning their pet. Groom your dog daily outside of the house, to minimise shedding of their skin and fur within the house. If possible get another member of your household to groom them for you. Bathe your pet as often as your vet recommends is safe, without risking drying out your dog’s skin. This may be as often as once a week. Your vet will be able to recommend a shampoo. There are also products that are available which you can wipe your pet with once they are dry. These are designed to reduce dander building up and flaking off. Your vet will also be able to advise you on these products. Don’t let your pets in your bedroom. Try to keep this as your “allergen free” room. Wash your dog’s bedding frequently, ideally every week. Minimise the number of soft furnishings in your house, as they are notorious for collecting dust and allergens. Wooden floors, washable blinds and leather furniture are better than carpets, curtains and fabric sofas. Regularly deep-clean any soft furnishings you decide to keep. Vacuum regularly using a device fitted with an allergen filter. Washing the household surfaces is important as well. If possible get a cleaner or another member of the household to do this for you, or if this isn’t possible, try wearing a dust mask and gloves when cleaning. Use environmental sprays to minimise dust mites – your vet will be able to recommend a product for you. Dust mites are common contributors to the allergenic load in your house and can often be enough to tip your allergy over the edge, from manageable to unbearable. Wash your hands after touching your pet, particularly before putting them to your own face. Also remember, if you already know that you have a dog allergy but would still love to become a dog owner in the future, there may be a breed that is suitable for you! Some breeds are non-shedding and are often more easily tolerated by suffers. Don’t be afraid to speak to dog breeders and vets for advice. Most breeders will allow you to spend a day with their dogs or even trial a dog to see if the breed suits you before you commit to buying from them. And if your allergy is still too severe to consider owning a dog, remember, there are many charities that will allow you to sponsor a needy dog, so why not consider that instead?